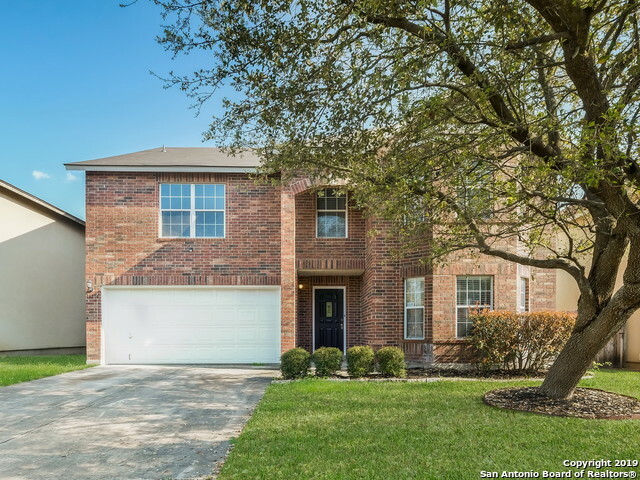 All REDLAND RIDGE homes currently listed for sale in San Antonio as of 04/24/2019 are shown below. You can change the search criteria at any time by pressing the 'Change Search' button below. "*Open House 3/31 1:00-3:00*Gorgeous and spacious home located in the established Redland Ridge subdivision. Entertainers dream inside and out with an open layout. Eat-in kitchen with tons of prep space and an island. Oversized bedrooms and multiple living and dining spaces throughout plus a flex room upstairs that has endless possibilities. The backyard has a spacious deck that is perfect for enjoying time with family and friends. New roof!! Great location with easy access to 281 and 1604. Welco"
"Aesthetic finishes & classic warmth mingle together in this coveted Redland Ridge home. Comprised of 4-beds, 2.1-baths & 3 living areas, entertaining exists on the lower level while privacy is maintained with all beds & lofty game room on the upper level. Chandeliers illuminate the private dining & large island kitchen. Stepping outdoors is a seamless transition graced by the covered patio. Backyard storage shed is a perfect place for personal effects. This is a turnkey property awaiting a new o"
"**REDUCED PRICING** OPEN HOUSE THIS SATURDAY & SUNDAY 1-4 PM! -- MOVE IN READY UPDATED HOME ON CUL-DE-SAC! 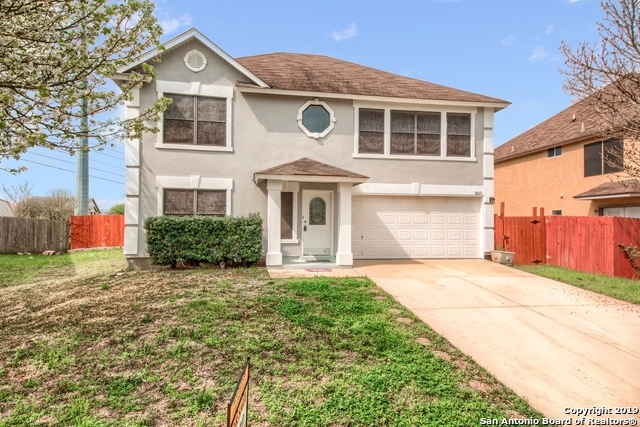 This gorgeous family home is 2 Story - 3 Bedroom - 2 and a half Baths - recently installed new flooring on first floor - giant pantry - crown molding everywhere - stained concrete in back patio - freshly updated kitchen that includes granite counter tops - backsplash. Master Bedroom is HUGE! Walk in closet - double sinks - newly tiled garden tub/showers"
"Spacious, beautiful 4 bedroom, 2 bath home in quiet Redland Ridge subdivision. New flooring throughout and fresh paint! Perfect floorplan for entertaining with open living / dining room downstairs and all bedrooms upstairs. Gigantic master bedroom with separate vanities and dual closets." 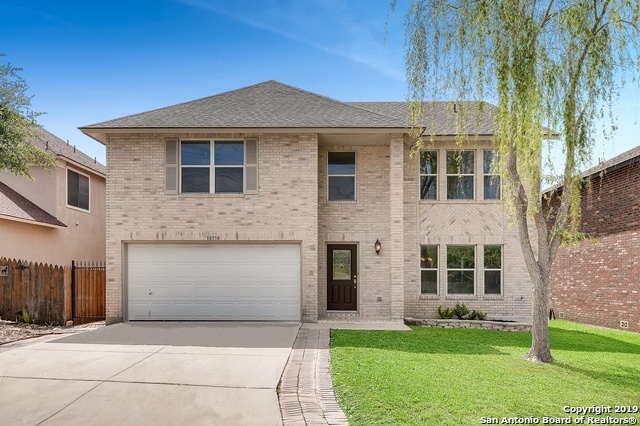 "Superb Location between Loop 1604 and Hwy 281 off Redland Rd, quiet Cul - De - Sac lot, great curb appeal, LARGE kitchen with island and LARGE pantry/utility, 3 bedrooms, large family room, LARGE game room, LARGE master with study nook, master bathroom with separate vanities and dual closets. JOHNSON HIGHSCHOOL!!!"